It has been a while since I have blogged but I haven't forgotten about you. I have been busy raising a demanding 5 month old, studying for the PMP, started a new job, and still taking new clients. Well after I had CJ I noticed something different about my hairline. It was thinning heavily! BUUUTTT where did the hair go. Well I found out where the hair went. 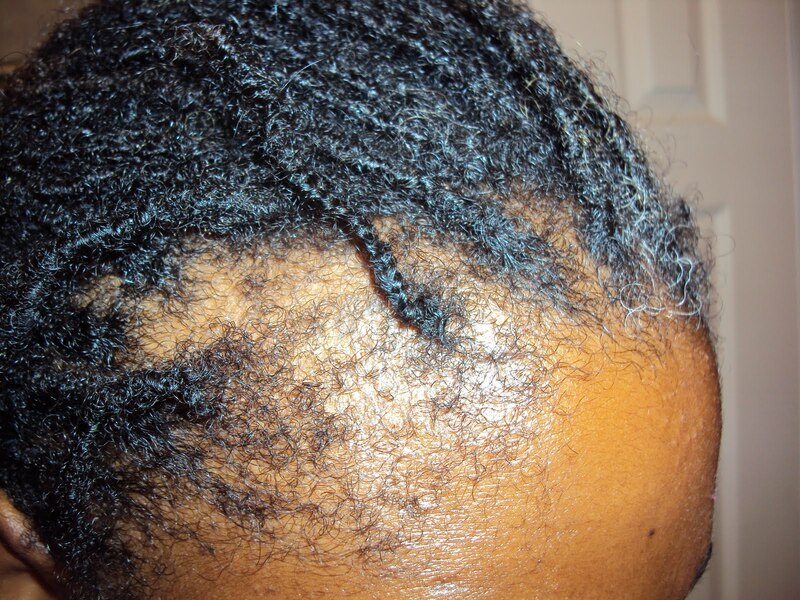 It embedded itself in the locs around my hairline. I am talking about nice size balls of hair that formed a nice little bump in my loc. Check out the pics I snapped. 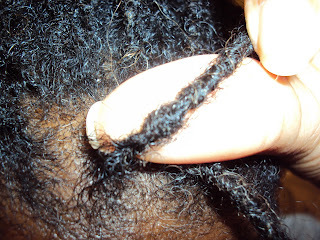 I had to take the locs down and get the excess hair out and start the loc again. The hair is growing back but I was disappointed to see all of that lush hair disappear like that. It was there one minute and the next it was gone.